Jadhav was arrested in March 2016 by the Pakistani security forces and in April this year he was sentenced to death by a Field General Court Martial. NEW DELHI: India has sought a sovereign guarantee from Pakistan that Kulbhushan Jadhav’s wife and mother would not be questioned and would be given full security when and if they go to meet the former navy officer who has been sentenced to death by a military court on charges of espionage. Jadhav was arrested in March 2016 by the Pakistani security forces. In April this year he was sentenced to death by a Field General Court Martial. In May, after the Indian government approached it, the International Court of Justice (ICJ) stayed Jadhav’s execution till further orders. Pakistan offered to permit Jadhav’s wife to meet him last week. India has responded by saying that the navy officer’s mother would like to meet him too. They would be accompanied by an Indian diplomat from the High Commission in Islamabad. New Delhi has said the meeting may be arranged after a guarantee that none of them would detained, questioned or interrogated during the visit. In a note verbale to New Delhi last week, Islamabad said Jadhav’s wife would be allowed to meet him on “humanitarian grounds”. “We are now awaiting their response to our response”, Indian foreign ministry spokesperson Raveesh Kumar said here today. Pakistan’s permission for Jadhav’s wife to meet him followed a meeting between the Indian foreign minister, Sushma Swaraj, with Pakistan’s High Commissioner in New Delhi, Sohail Mahmood. But Pakistan’s offer also took India by surprise. 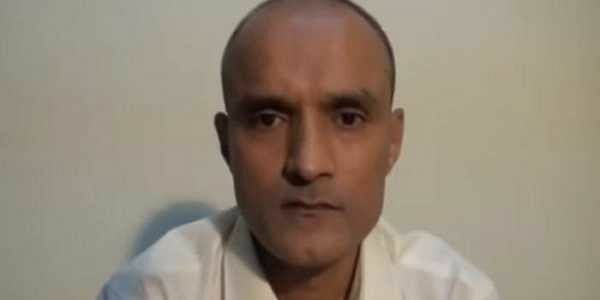 New Delhi has said that Islamabad had repeatedly rejected or not responded to requests for consular access to Jadhav. There is speculation that Pakistan has made the offer for the spouse’s meeting because of the case before the ICJ.